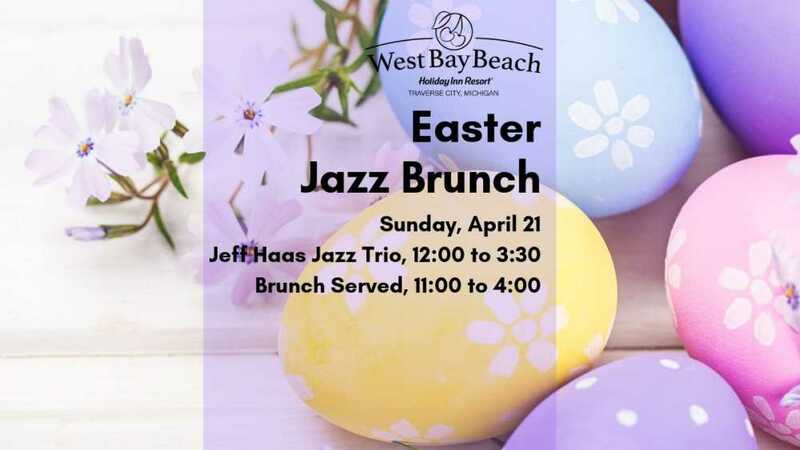 Join us at West Bay Beach Resort for our Easter Jazz Brunch served from 11:00-4:00 with the Jeff Haas Jazz Trio performing from 12:00 to 3:30. Free flower for all mothers and Easter craft for children. $29.95 adults, $14.95 children under 12. Please call 231 947 3700 x 122 for your Easter Jazz Brunch reservation.